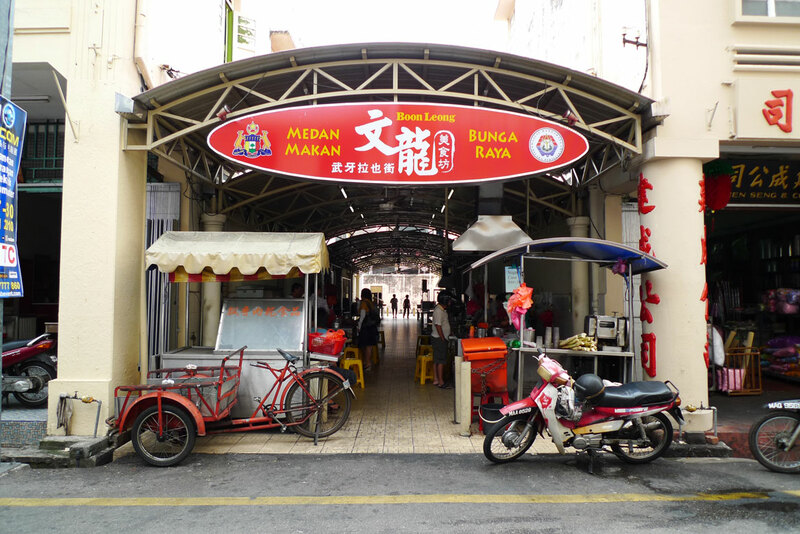 Sandwiched between 2 buildings is this tiny food alley called Medan Makan Bunga Raya. 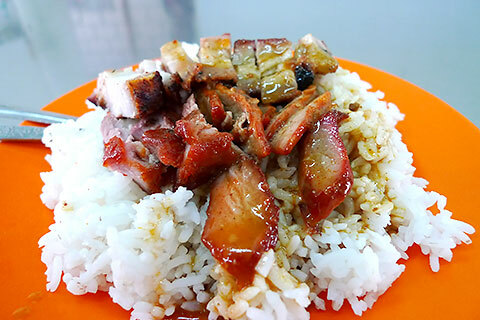 Here the 2 stalls at the front are suppose to serve pretty good char siew siew yoke rice. However it is mostly empty except for these 2 stalls, the rest don’t even seem to be occupied and serve as extra tables for customers of the 2 stalls. This is the stall on the right. And this is the stall on the left. The interesting part is how you can sit, order and eat right in front of them, much like those sushi bars in Japan. 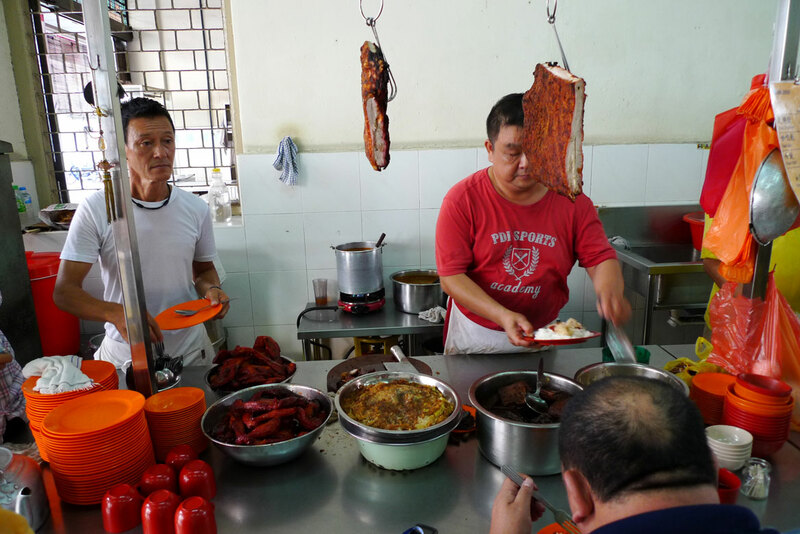 I ordered from the stall on the left (at random) – getting a plate of standard stuff like the char siew and siew yoke, topped off with a swig of curry. While the taste of the meat was not significantly better than local versions, I felt it was more robust and of course, it’s much cheaper! Some fried egg to accompany my rice. Very tasty, probably something to do with the oil used. Definitely worth a try if you can find this street. I’m going to try the other stall the next time I’m here. 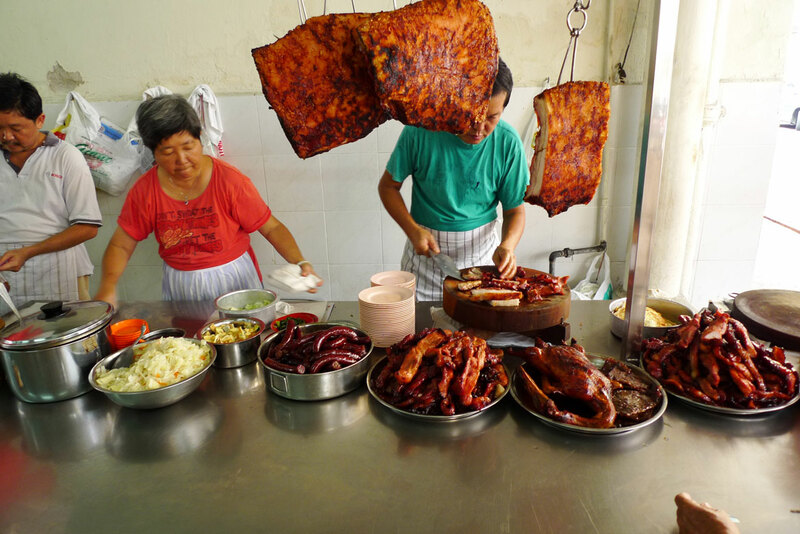 4 Responses to "[Melaka] Medan Makan Bunga Raya"
Yah the roast porks are so huge! I think it shouldn’t be too hard to find if you can find Jalan Bunga Raya. Can find on Google Maps one! I’ve just found your blog. If you go at night, there’s an oyster omelette stall that has an insanely long queue, as well as a hokkien noodles (the malaysian sort) stall that is pretty good. Yeah I heard about that too. 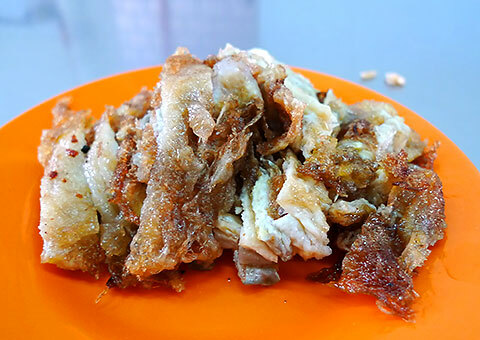 I’ll definitely give it a try the next time I visit Melaka again!